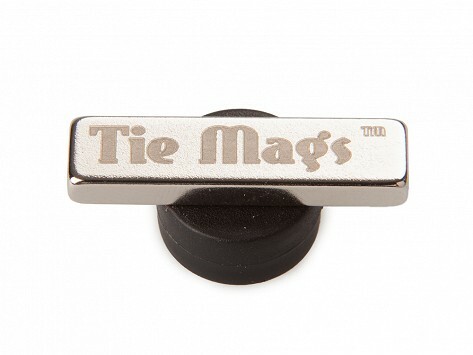 Tie Mags are simple, stylish magnetic tie clips, made with a high tech alloy that resists rust and corrosion. 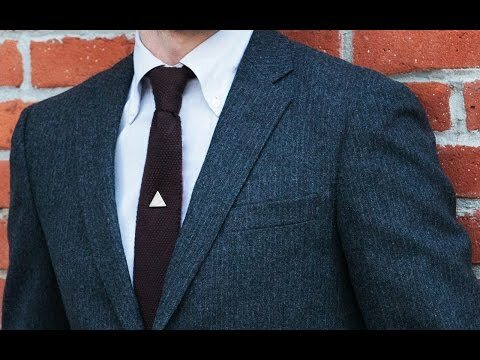 With industrial-strength magnetic force, Tie Mags keep your tie—or scarf, or cuffs, or other accessories—in place, without leaving a mark on your tie. Maker Paul Robert Prusinowski's collection of nice, expensive ties was constantly at risk around food, coffee, and office supplies. But he didn’t want to poke holes in the silk or crease it with traditional tie pins and clips. He began experimenting with magnets to clasp a tie, and he designed Tie Mags to look as good as the tie they’re on.